Now Open! 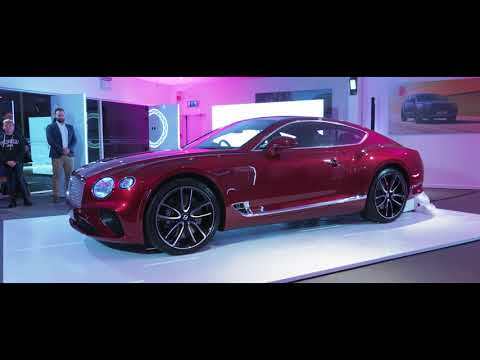 The launch of the new Charles Hurst Premium Ireland retail unit coincided with the Ireland launch of the stunning new Bentley Continental GT, only available at Charles Hurst. CHARLES HURST PREMIUM IS IRELAND'S NEWEST PREMIUM BRAND USED CAR SUPERMARKET, BOASTING THE BIGGEST CHOICE OF BEST VALUE QUALITY USED AUDI, BMW, MERCEDES-BENZ, PORSCHE STOCK. IN ADDITION, WE PROVIDE A STUNNING LINE-UP OF APPROVED USED ASTON MARTIN, BENTLEY, FERRARI AND MASERATI STOCK SOURCED FROM OUR CHARLES HURST SPECIALIST DIVISION IN BELFAST. Located at 171 Goatstown Road, Dublin, we have the widest selection of premium makes and models for you to choose from in Ireland, as part of the Charles Hurst Group 2,000 vehicles in stock. Part of Charles Hurst Group, Northern Ireland's largest car retailer, Charles Hurst Premium Ireland is excited to bring our innovative, award-winning, Premium concept directly to Dublin as part of a major investment that unifies our online and physical presence in Ireland. This is a must-visit destination for premium brand consumers of all ages, tastes and budgets as we can offer you everything you'd expect from a premium brand, without the premium price. We are confident that our highly-competitive pricing, great choice and decades of experience in the sector, will help us ensuring that every customer has the most suitable options for their motoring requirements. We provide finance packages that are tailored to suit your needs. All vehicles come with a minimum of 3-6 months free warranty subject to the maximum mileage clause. All of our stock is price-checked daily, to ensure it is the very best value in the local market. Our transparent pricing model means the price you see is the price you pay, guaranteeing you the best price without the hassle or haggle. All of our stock is backed by our Price Promise – see one of our cars advertised for less with another SIMI Dealer, we'll refund the difference too. Welcome to Charles Hurst Premium. To optimise your experience, cookie settings on the website are set to allow all cookies. By continuing your journey throughout the website, you consent to this. You can change these settings here. © Lookers plc and various subsidiaries in the Lookers plc group 2016. All rights reserved. Users may download and print extracts of content from this website for their own personal and non-commercial use only. Unauthorised republication or redistribution of content, including by framing, spidering or similar means, is expressly prohibited.